Thank you for a successful 2015 Tiblow Trot! 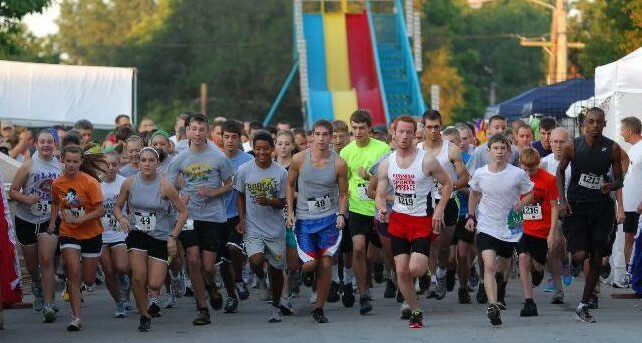 Thank you to all of this year’s Tiblow Trot participants and sponsors for another great run! We will add a few photos and some more information here in the next few days, but for now, you can find all our photos on our Facebook page here. This entry was posted in Fundraisers, Rotary Programs and tagged 2 Mile Walk, 37th Annual Tiblow Trot, 5 Mile Run, Bonner Springs, Bonner Springs Rotary, Bonner Springs Rotary Club, Bonner Springs Rotary Scholarship Program, Tiblow Days, Tiblow Days Celebration on August 31, 2015 by bonnerrotary.